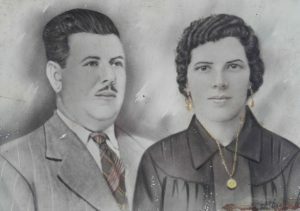 It was the 1920’s and a recently married couple, Filomena and Baldomero, my great-grandparents, like so many other men and women of that time, were forced to emigrate and carve out a better future for their families. My great-grandfather emigrated to America, where, for many years, he would come and go. In 1932, they were finally able to purchase a house (A tiny house, with a small porch, an arbor in the entryway, corral, more facilities and a connected garden… a granary to store corn, vineyard…) That house, reformed over time by my parents, is where the Anadigna Winery can be found today. 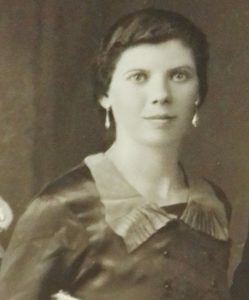 Anadigna was raised by her mother, my great-grandmother Filomena. While my great-grandfather was in America, they were forced to handle the farm work by themselves. Anadigna was always working in something which, at that time, society reserved for men. Many people remember her teaching the neighbors how to make baskets for the harvest, weaving together tough wicker branches, which in her hands, appeared to be soft threads giving the baskets its shape. But above all, she was known for making the best wine in the region. Paying attention to the moon and the whims of the weather, she carefully looked after her vineyards to receive the gift that the natural landscape of the Rías Baixas gave her. Methodic and generous, she uncovered many of the secrets within that fruity-smelling, precious, yellow liquid. Like her mother before her, she had to face life alone. She brought up four children with the same strong hands that she used to guide her vines. The care she took in pruning each branch and the wisdom of knowing the perfect moment to pick them from the bunches, which she’d methodically tended under the sun, rain and the salty smelling wind that came off the Atlantic. 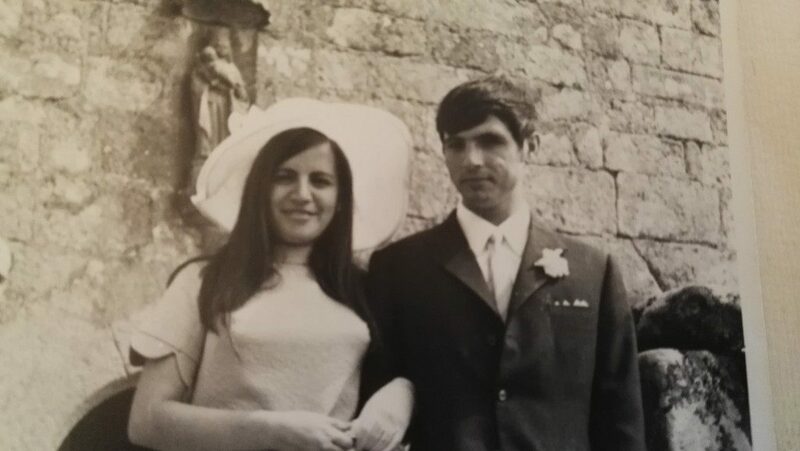 One of those four children was my father, Belarmino, who taught me that in order to make good wine, you must first love the plant, the grape, and the earth that gives it to us. In 1979 my parents, Belarmino and Carmen, bought “Veiga de Areas,” the plot where the first vines of my family’s albariño were planted. Since then, the wine has been produced with other varietals. It was with those vines that the dream of creating a different wine was born. I was 9 years old at the time, and I couldn’t even begin to imagine that my parents were planting in me the same enthusiasm that they had used to plant the vines that had started it all. With the loss of my mother, after first my father and then my grandmother, a desire emerged within me to continue the work that they had begun. I wanted to fulfill their legacy and complete their project, whose roots both my grandmother Anadigna and my parents had strengthened. Their dream was to release a one-of-a-kind albariño to the market, the fruit of all their labor. It was then that we decided to prepare the winery, equipping it with modern technology to produce a wine my family would be proud of. 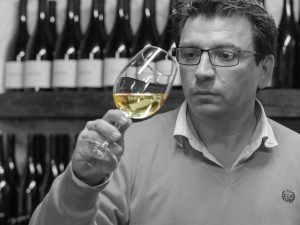 Each glass of this Rías Baixas is the fruit of their legacy.